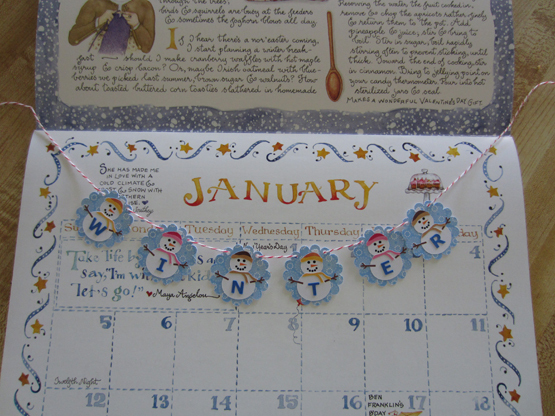 Janie has made us all new WINTER banners! Like the others, it comes in its own little handmade envelope; the perfect way to celebrate the change of season. Look for more of Janie’s darling creations coming throughout the holiday season.